Clean Eating For Foodies: 25 Amazing Clean Eating Recipes Under 250 Calories! 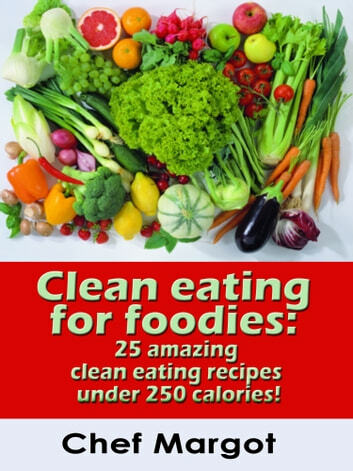 Clean eating for foodies: 25 amazing clean eating recipes, under 250 calories is a fascinating book to improve your health, while enjoying food. Do you want to lose weight fast?. All these delicious clean eating recipes are under 250 calories. I also detail relevant nutrition facts for each recipe. Whether you’re cooking for yourself, your kids, or an entire crowd, roasting vegetables allows you to create a beautiful, delicious presentation without a lot of extra work. If you are a foodist, no doubt this healthy cookbook is for you. Enjoy it! 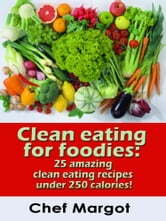 Ähnliche Bücher wie Clean Eating For Foodies: 25 Amazing Clean Eating Recipes Under 250 Calories!